Kia ora koutou katoa, I’m Fiona Unac, Chair of the Perioperative Nurses College, NZNO. Perioperative nurses provide care to patients and their families/whānau across the perioperative continuum. We work in a variety of settings including, outpatient departments, day surgery units, intervention and investigative units, radiological departments, surgical inpatient units, operating rooms, post anaesthetic care units and more. Our College supports and promotes the safe and optimal care of all patients undergoing operative and other invasive procedures. We promote high standards of nursing practice through education and research. One of the ways we work towards these goals is by hosting an annual conference. From 24-26 September 2015 we’re celebrating our 42nd, and it’s shaping up to be really great! With a theme of “Reflection and Action” we guarantee there will be something for everyone. Bringing perioperative nurses together from around the country gives us an opportunity to share our skills and knowledge, hear about innovations and improvements in practice and celebrate the important work we do. Organising the conference is a big part of PNC college activities, which is supported by an energetic team and financed by sponsors and NZNO. The conference committee aim to make sure this years’ conference is going to be better than ever. One of the highlights for me so far – and I’m sure it will for attendees too – is the chance to acknowledge nursing’s role during 100 years of New Zealand at war. Our conference is being held in Palmerston North and we’re taking advantage of the links that Palmerston North has with Linton Military Camp. We have some presentations scheduled that will give you an insight in what it means to work as an army nurse with… (drum roll please!) 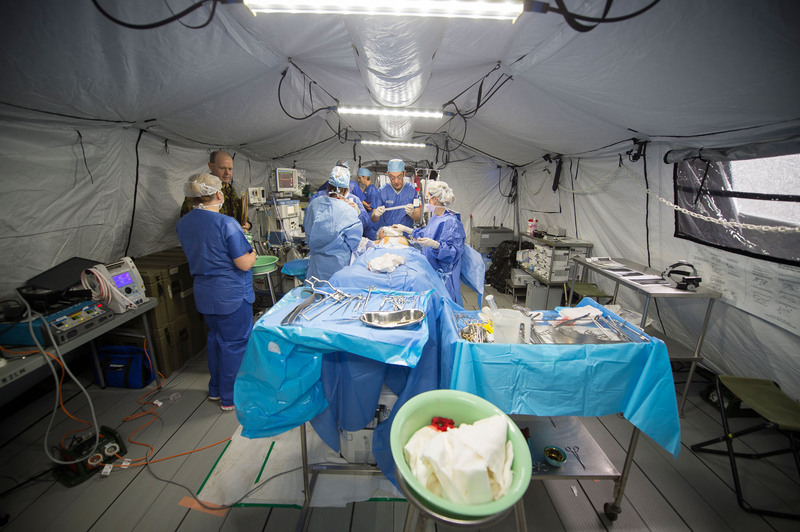 a fully functioning deployable hospital that is constructed to operate anywhere around the world. The deployable surgical team has been to the Awapuni Racecourse to locate the best site for the deployable hospital that they will put up for the duration of our conference – it will be hard to miss at 40 x 40 m²! This is a huge set up – with Resus, X-ray, Lab, Theatre, Sterile Services, Post surgical care (for all levels of acuity) and storage areas all within air conditioned shelters. Other highlights include a history of NZ military nursing, an introduction to the NZNO “Nurses – making the difference in healthcare” campaign and a keynote speech by Dr Swee Tan. If you’re a perioperative nurse and you haven’t already registered for the conference, now is the time to do it. Check out the conference website here: www.periop2015.co.nz. Tags: conference, Deployable hospital, NZNO, perioperative nurses, PNC | Permalink.